Without exception companies I chat with that hesitate to export cite among the top three justifications for their reticence some form of financial risk. I've come to expect it, but that doesn't mean that inwardly I groan less than I used to. Normally the folks from whom I hear this have commercial lending relationships with local banks that don't have robust international banking. When they have an international sales inquiry, they call their banker who begins to list all the incredibly complex and nearly impossible work involved. That's enough to discourage anyone. But today a tweet landed me on a blog post that has blown apart most of my theories. Here is an industry "expert" promulgating more of the same. In fact their headline alludes to not just complications related to international trade, but in fact, dire financial losses. "When exporting means losing big money" screams the headline as the article dives into a litany of enormous FX (foreign exchange) losses experienced by large multi-nationals. You must, therefore, immediately and without passing go, sign up for their hedging products if you hope your business might remain viable in 6 months! Let's take a look at a few of the many ways this is wrong. First, "export" is a transaction. No transaction in and of itself can lose money. Something has to get sideways with it, assuming you planned it properly from inception. Export as an activity doesn't risk loss. Second, the large multi-nationals which reported large "losses" (I didn't vet any of the numbers and am taking them at face value as reported) probably did so not as an actual cash impact, but rather as the result of exchange rates on the earnings they reported at home. Their global activities, which have created rapid growth and total revenue occurred across various markets. And their engagement in rapid growth markets has led them to create local subsidiaries which report individually. As they roll-up financial reports from subsidiaries and convert those results into USD, exchange rates impact the USD result. So their export or global operation may be thriving, but they may report smaller USD profits than they expected. Is that a loss? Third, what is the role of hedging? If you issue an invoice in a foreign currency and don't receive payment for some time, the net value of the foreign currency you receive may be higher or lower, in your USD, than on the day you issued the invoice. That's your exposure. And if it's lower, that would reflect as a loss (gain or loss on foreign currency) in your P&L. So you have a few choices. Hedging isn't complicated if you have a banker who is familiar with international trade. And after a couple transactions you won't even need that banker's help - it's really that easy. But maybe you're hesitant to sell internationally on open account terms. Many are. The default response is to use expensive and complicated Letters of Credit (L/Cs.) Alternatively, many companies demand wire payment in advance. Either of these may be appropriate in instances when you make one-time sales to unknown buyers. But if you have sales channel or repeat buyers, it's not a very customer friendly approach. Similarly demanding payment in USD isn't either. Sure it's more convenient for you - but what about selling across a border changes the imperative to be customer focused? You have options! Cool, right? Are you familiar with international receivables insurance? 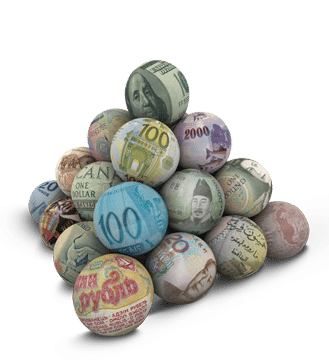 For relatively short money you can purchase protection against insolvency, slow pay or even non-convertibility of currency in your foreign receivables. In short, you can sell internationally, on open account, and in local currency with narrow exposure. Add some sensible hedging, and abracadabra, you're a global business wiz! So don't fall prey to the myth that international finance is some insurmountable black hole of risk. Strategically conceived and properly executed international sales add to revenue and profits. Only bad deals incur losses. And global sales growth is about a process - don't obsess over transactional details that divert your focus from a profitable, diversified global growth strategy.